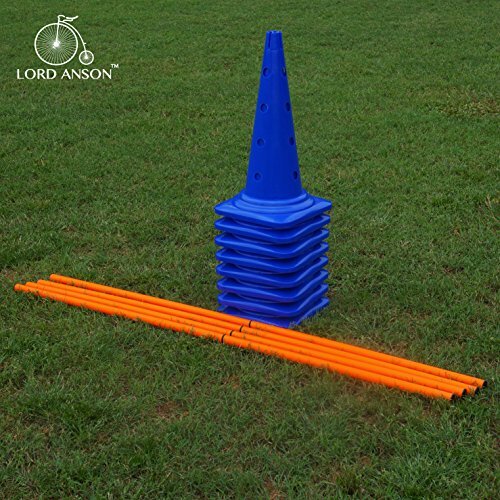 ADJUSTABLE AND VERSATILE – Each agility cone is approximately 21″ in height and has 4 hole placements for different jumping heights. 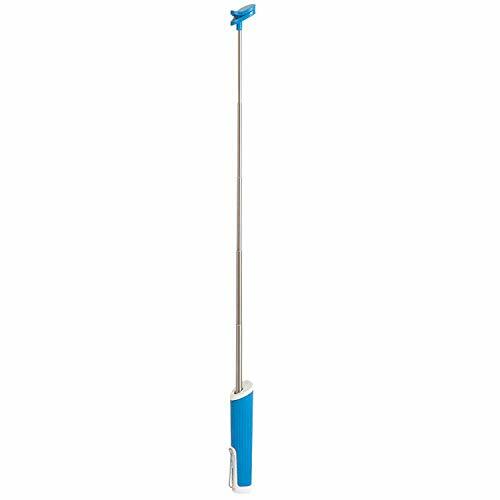 The Agility rod height can be set to 17″, 13″, 9″, or 5″ depending on the training application and size of the dog. 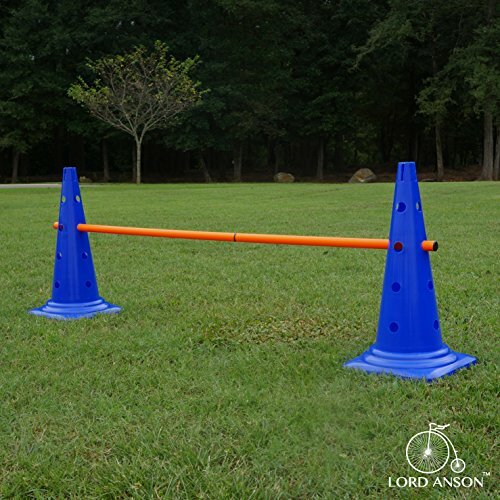 The agility rods slide through the holes in the cone to adjust the width of the hurdle. 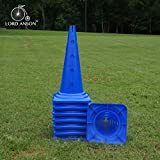 The large blue agility cones also work well for obedience training and other agility drills such as the weave. 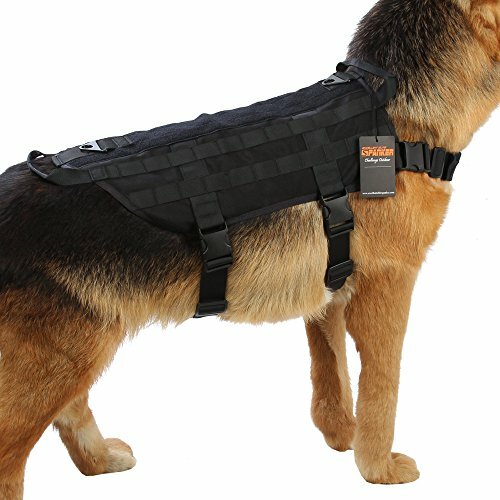 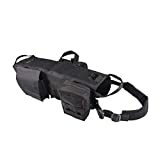 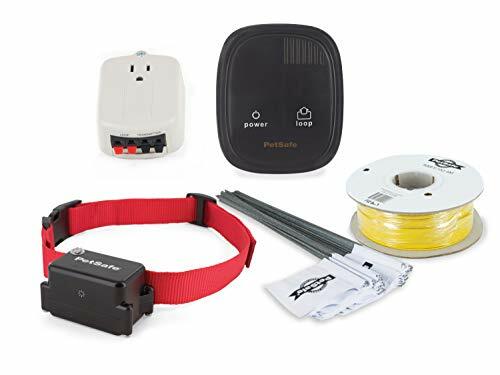 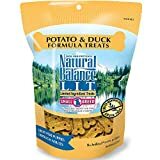 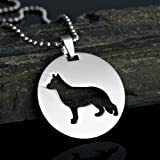 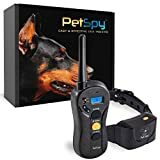 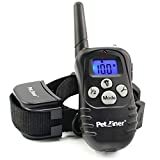 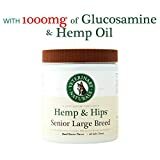 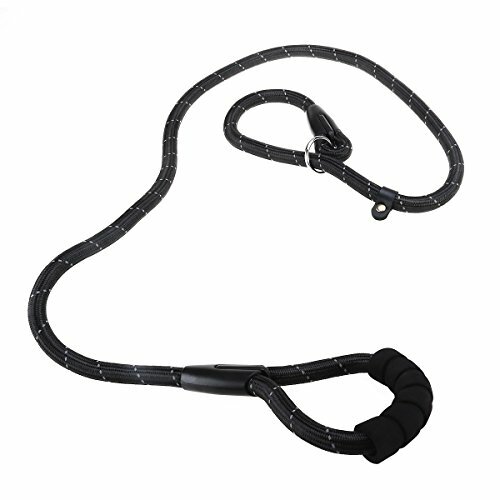 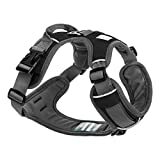 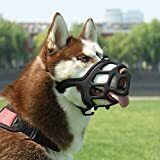 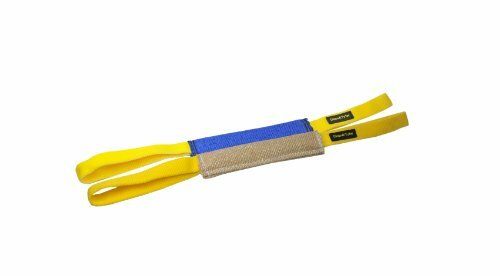 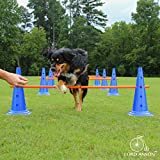 GREAT FOR AGILITY, REHABILITATION, AND OBEDIENCE TRAINING. 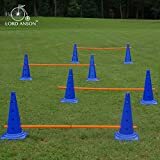 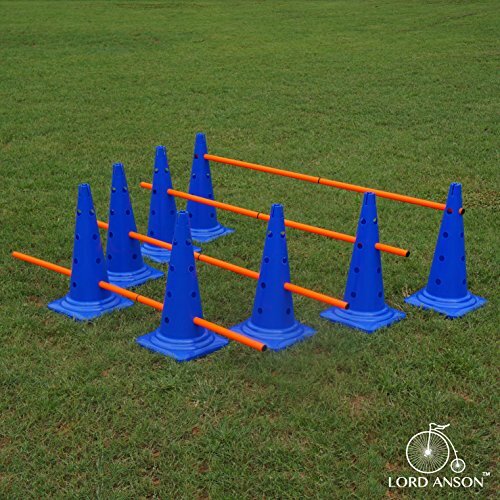 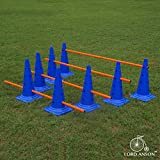 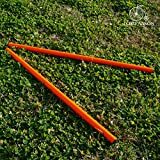 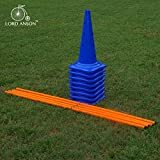 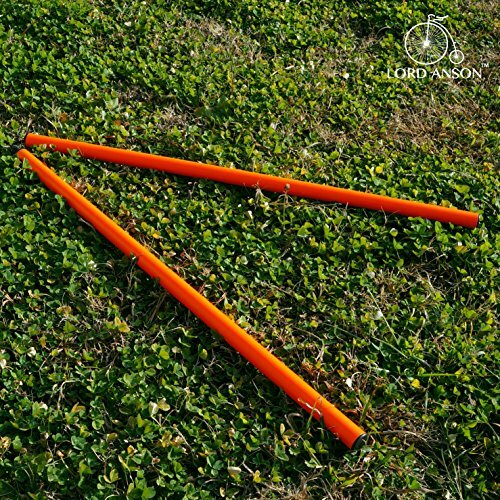 The Lord Anson™ Agility Hurdle Cone Set can be used for much more than just agility. 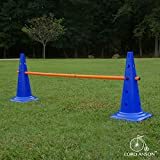 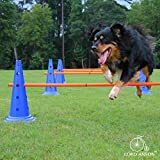 Whether you are training your dog for an upcoming show, having recreational fun with your dog at the park, or rehabilitating an older or injured dog, the Lord Anson™ Agility Hurdle Cone Set delivers quality and performance that you can trust.